An apartment or condo mailbox lock is made to secure a small mailbox door. Unless you rent and have a maintenance person on the grounds, or you have a contract for maintenance with your condo association, you will be responsible for replacing your mailbox lock if it becomes jammed or breaks, if you lose the key, or if it becomes nonfunctional in some other way. You may even want to replace it if the previous owner or renter did not turn in the key. This task can be done with common tools and a little do-it-yourself experience. You can replace your mailbox lock. Open up the mailbox to gain access to the back of the lock. 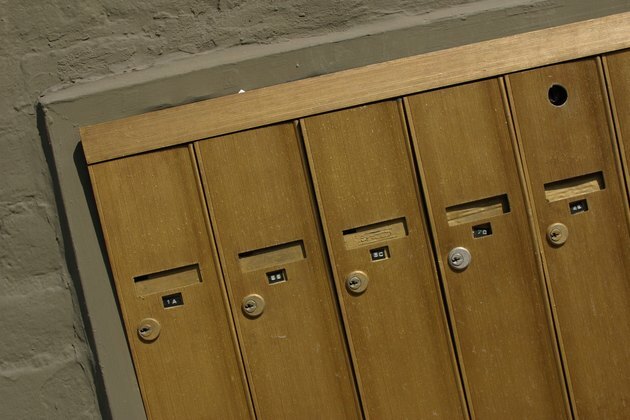 If you don't have a key, wait for the mail delivery person to unlock the entire bank of mailboxes. This will give you access to the back side of the lock. Remove the nut or the clip that holds the lock in place. The nut can be turned out with an adjustable wrench, and it will be mounted flush against the back side of the mailbox door, secured by threads on the mailbox lock body. The clip will have a large "lip" or other protrusion that can be grasped by a pliers and pulled up and away. 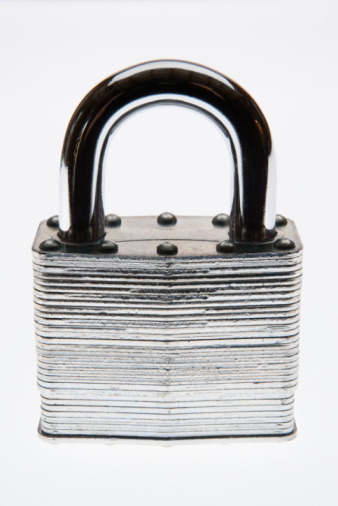 Once the nut or clip is removed, the lock can be pushed or pulled out of the front of the mounting hole. Unscrew the locking cam on the back of the lock with a screwdriver. The cam will be an "S" bend of thick metal that grabs the side of the mailbox and locks it when turned by the key in the lock. Screw the cam into the new lock on the back. The "S" bend on the cam should face upward and follow the movement of the key in the lock when it is turned left or right. Insert the new lock into the mailbox mounting hole so the key hole is in a vertical direction. Slide the new clip behind the flange to hold it in place, or thread the nut onto the lock body and tighten it down firmly with an adjustable wrench. Spray lubricate the entire locking mechanism while turning the key in the lock to ensure that the mailbox lock works correctly.